Two men have been charged over the death of a pastor’s pregnant wife, who was shot in the head during a home burglary.Larry Taylor, 18, and Jalen Watson, 21, are charged with murder, burglary and other offences stemming from the death of Amanda Blackburn. 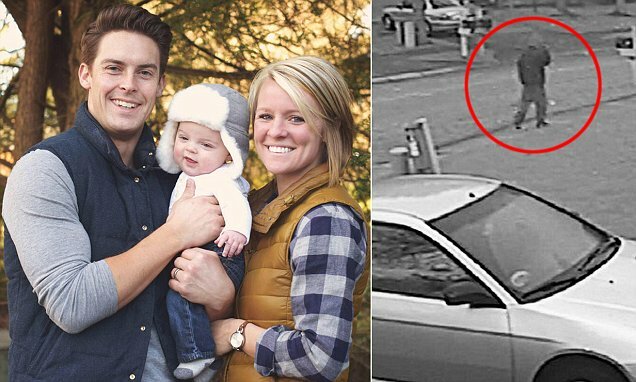 The 28-year-old was found fatally wounded by her husband, Davey Blackburn, after he returned to their Indianapolis home from the gym on 10 November. Authorities said she was shot three times, including once in the back of the head. The couple’s 15-month-old son Weston was in his crib at the time, but was not injured. The Marion County Prosecutor’s Office said in a news release that three men, including Taylor and Watson, entered the Blackburn home after allegedly committing two other robberies in the area. Taylor then stayed at the home while the other two drove to an ATM, where they attempted to withdrawal cash using Mrs Blackburn’s debit card, according to court documents. The men then returned to pick up Taylor, who told them he had shot Mrs Blackburn, an arrest affidavit said. Mrs Blackburn, who was 13 weeks pregnant, was taken off a hospital ventilator and declared dead the following day. Marion County Prosecutor Terry Curry said he has not yet decided whether to pursue charges related to the death of the foetus. He added he would review evidence and meet with Mrs Blackburn’s family before making a decision on whether to seek the death penalty. The third suspect, 24-year-old Diano Gordon, was being held in connection with the burglaries but has not been charged in the Blackburn case. In a statement, Mr Blackburn said he was “extremely relieved” to get the news of the arrests. He added: “Though everything inside of me wants to hate, be angry, and slip into despair I choose the route of forgiveness, grace and hope. Mr Blackburn said in previous interviews that he and his wife were expecting a baby girl and that they had agreed to call her Everett.